are an essential part of Restore Hope, and without them our events, groups and courses wouldn’t be what they are today. Restore Hope is supported by an amazing group of committed volunteers who give their time and skills to run the programmes and activities which help bring transformation to the lives of so many children, young people and families. We run an intern programme which provides great opportunities for people to grow in experience in many different areas. Through the year we have special events to thank our volunteers who give so much to the charity and those we work with. 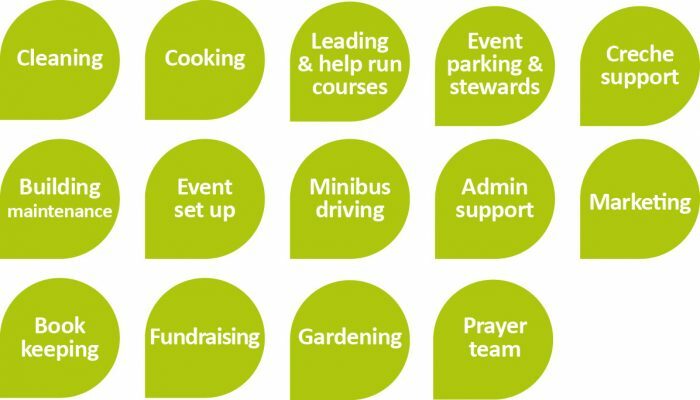 As a growing charity with a big vision there are lots of volunteer opportunities to use your passions and skills to make a difference and see hope restored. These are just a few examples, there are many more! Keep in touch – join our mailing list!